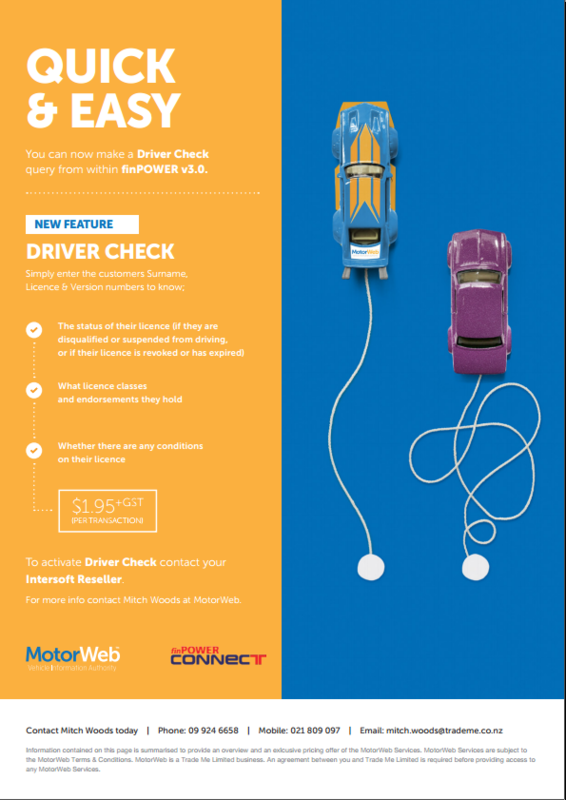 finPOWER Connect can now access the MotorWeb Driver Check report. Using your existing MotorWeb account you simply have to enter your Client's surname, Licence and Version numbers to get a report detailing the status of their licence (disqualified, suspended, revoked or has expired); what licence classes and endorsements they hold and any conditions of their licence. This report is then held on the Client file for future use and reference. This great new feature is enabled in finPOWER Connect version 3.00.04 or above. Contact your finPOWER Connect Reseller to find out more.